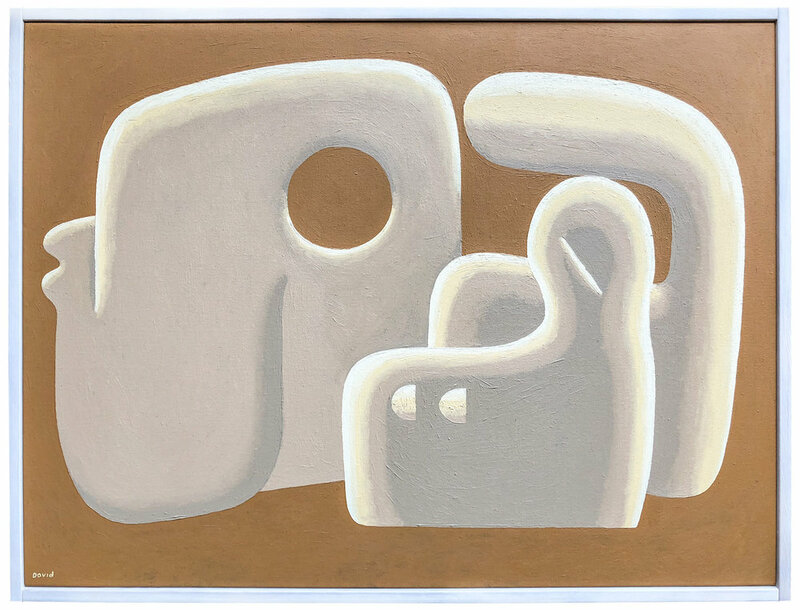 Ampersand is pleased to present German Jazz, a solo exhibition of paintings and sculpture by David Wien. 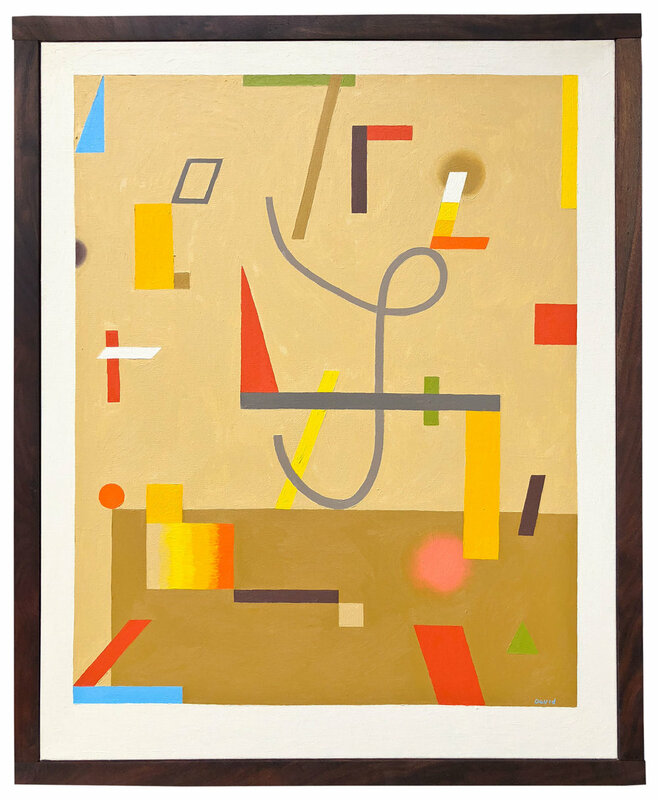 Marking the end of a solitary period living and working in rural Northern California, these new pieces again present his unique language of abstract form and simple shape. While in some cases suggestive of recognizable objects, the paintings more often allude to a feeling one can’t fully explain, a sensation, the essence of a memory, an inside joke. 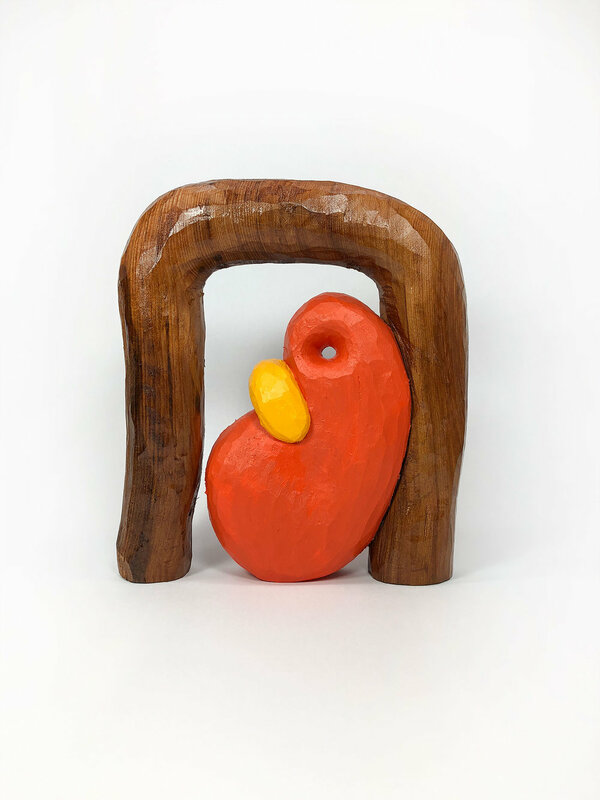 This notion is echoed in his sculptural forms, influenced as much by the materiality of the found redwood he carves as the shapes in his mind. David Wien lives and works in Portland, Oregon. He received his Bachelor of Fine Arts in Painting from the Rochester Institute of Technology in Rochester, New York. 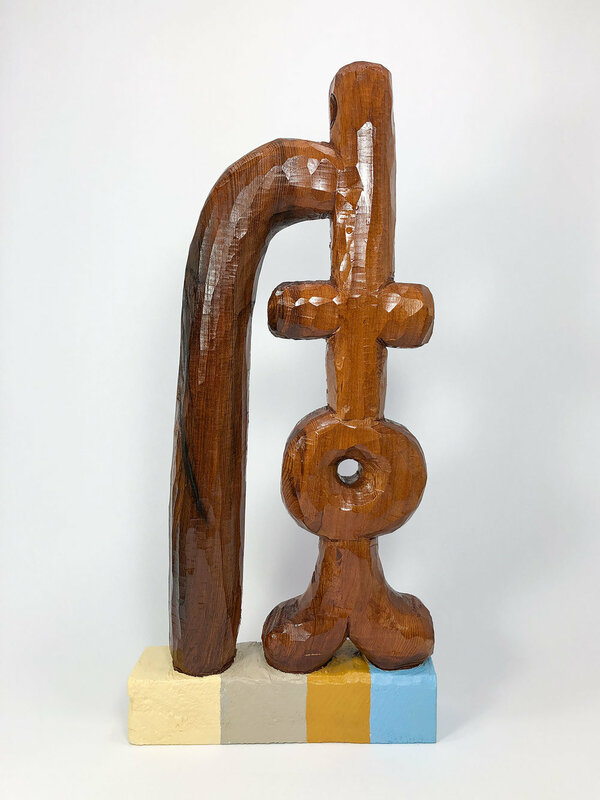 His prints, wood carvings and paintings have been widely exhibited, including Foreign Languages at Ampersand in Spring, 2016. 17 1/2 x 8 x 3 in.